Even though I haven't been posting much here lately, I've still been painting. It's something I can't stop doing, even while I'm recovering from surgery. I've had so many painting ideas! Here are just a small fraction of the work I've come up with in the past two months. I'm into all things summer right now. 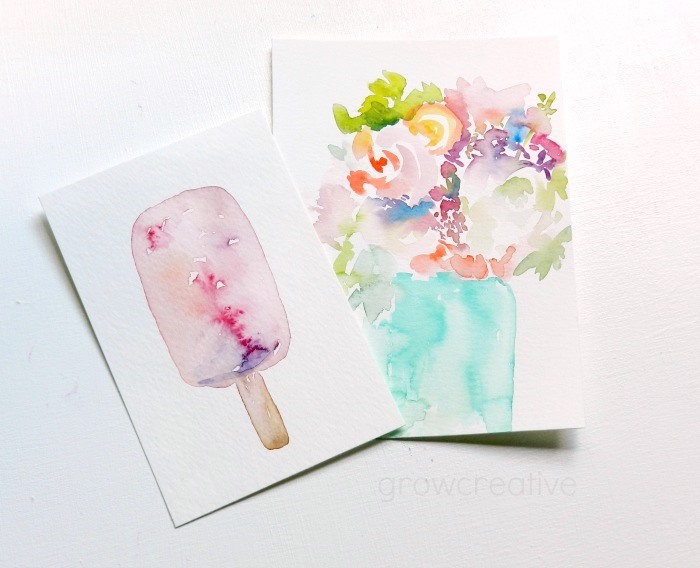 Flowers, popsicles, colorful patterns. Which is your favorite? My favourite are feathers! But they are all lovely! Beautiful blog. I'm going to share it with my sister. She loves be creative. She just started water colors. I love them all, but in particular the patterns of tear drops!